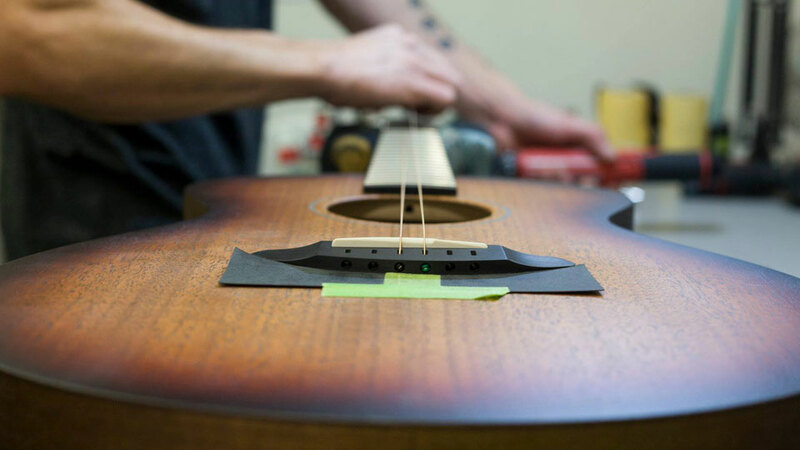 Well-known in the music industry for their quality, Breedlove Guitar Company, launched by partners in 1990, designs and builds guitars and mandolins, including specialty acoustic bass guitars, handmade by a team of craftspeople about a mile from Phil’s Trail. They use exclusive design elements such as their three proprietary body shapes: the Concertina, the Concert, and the Concerto, handcrafted necks, exotic tonewoods, and inlays. With a goal to optimize the sound of your music by becoming the “Preeminent Authority on Acoustic Sound,” they seek to break new ground using the variability in every piece of wood to its individual best musical potential. Distributed internationally, they will also design your dream custom Masterclass guitar in the Breedlove Custom Shop. Well known guitar artists such as Jeff Pilson of Foreigner, Lisa Loeb, Ed Roland of Collective Soul all choose to play Breedlove instruments. At Breedlove, their mission is to help musicians “sound better, play better and enjoy playing more.” That’s why they make a variety of guitars for many different playing styles, applications, sounds and tones, all right in Bend, Oregon.